Biography: Proudly Peruvian, born in the port of Callao, in the district of Bellavista. Father Chalaco and mother sayanera, of a typical large family, with 18 brothers. 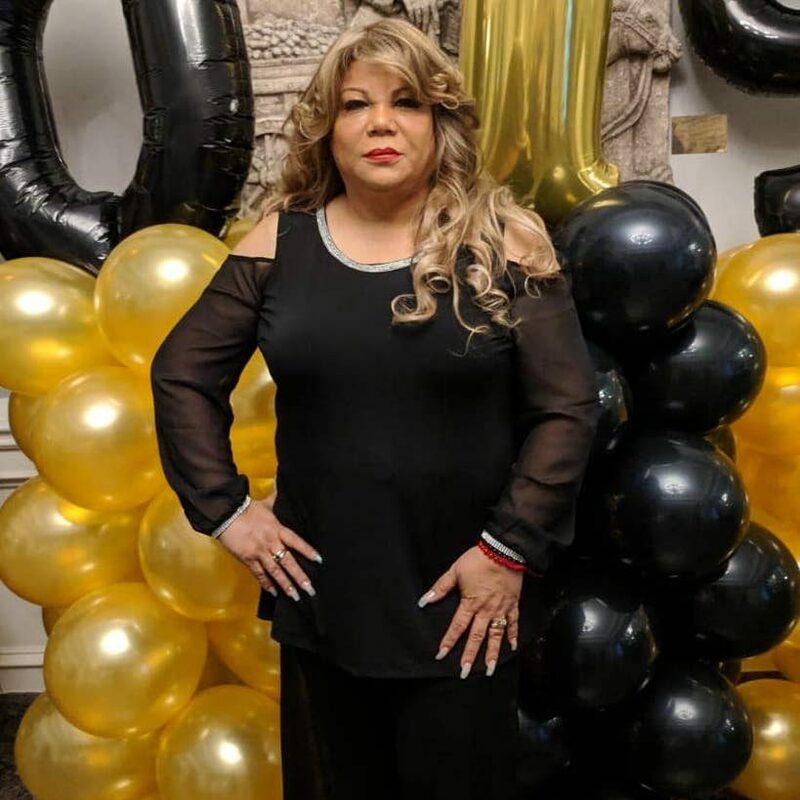 She finished her high school at the General Prado women's school, in 1986 she traveled to Canada in search of better opportunities and continue with their work to help their community. Between her and her husband they developed a cleaning company, from which they were initially employed and today they are the administrators where they give work to many people who also immigrated looking for a good future, then they founded the dance school RHYTHMIC FIRE, which is led by their daughter Katty and is a space where the children of immigrants can learn the dansas of Latin America and at the same time practice their Spanish language. Then the event called CHIMP PUM CALLAO SALSA CONGRESS was organized in Niagara Falls, in honor of that great Peruvian city, where salsa and Latin music is felt in the environment and is a great promotion of our Latin culture. Then the online radio station called KBUENARADIO.TV is innaugurated, which produces, with a very qualified team of professionals, programs of high interest to the Latin community in Canada and the world. Opening the doors to the whole community. in promotion of events, interviews with great personalities, women's program, seniors. Her entrepreneurial nature has led her to participate with great success in editorial projects such as the magazine OYE MAGAZINE, the organization of events. Lupe feels blessed, because it has always been a privilege to work with passion in her projects in the company of her entire family, which today, continue to enjoy together while each occupies a space of their own and creating their own families.